It's an honor to be recognized by such great organizations. Attorney Chris Combs is proud to have been recognized by the US News & Best Lawyers legal directory on September 29th, 2018. This recognition highlights the ongoing acknowledgment of Chris as one of the premier criminal defense attorneys in St. Louis, MO. 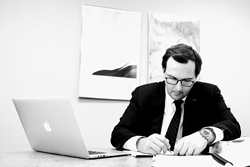 Over the past several months, Chris and his law practice Combs Law Group have established themselves as the go-to firm for criminal defense lawyer representation. The firm’s philosophy of client personalization has bucked the trend of retail legal services you find in a strip mall. When you come to Combs Law Group as a client you are treated individually and you will get one-on-one client representation throughout the process. Unlike other firms that will try to move you through the process as fast as possible like a McDonald’s drive through, and where your outcomes are usually predetermined when you walk in the door. For clients who want a criminal defense lawyer to actually work the case, Combs Law Group is where you should start your interview process. BestLawyers is a highly respected lawyer directory that provides peer review selection of criminal defense lawyers. Being added to the Best Lawyers Us News directory expands the exposure for Chris and the Combs Law Group. “Best Lawyers is the oldest and most respected peer review publication in the legal profession. Recognition in Best Lawyers is widely regarded by both clients and legal professionals as a significant honor, conferred on a lawyer by his or her peers. For more than three decades, our publications have earned the respect of the profession, the media, and the public, as the most reliable, unbiased source of legal referrals anywhere. The addition to this directory just adds to the ever growing credibility of Chris Combs and the Combs Law Group. If you are in the stage of hiring a criminal defense lawyer, this recognition provides you with additional criteria in your evaluation. These two organizations are highly respected amongst their readerships. Through the directory inclusion, Combs Law Group will now be promoted to individuals who look to these resources when hiring a criminal defense lawyer. Given the fact that Combs Law Group has been one of the highest rated criminal defense attorneys in St. Louis (Source:Google Reviews), it is a welcome addition for both US News and Best Lawyers. They want the “best lawyers” available to their readership, and Combs Law Group fits that bill. If you are in need of a criminal defense attorney in and around the St. Louis area, contact Combs Law Group today. We can help you with your criminal legal problems and will deliver the outcomes you need to maintain your job, family, and lifestyle. Call 314-578-1465 today, or visit our website to learn more. At Combs Law Group, we are highly committed to delivering a positive outcome for our clients. We are proud of the fact that we represent a wide diverse group of clients who are need of strong St. Louis criminal defense lawyer in the St. Louis metro area. Our criminal defense clients include working professional, juveniles, high school and college students, mothers, fathers, veterans, immigrants, college professors, and anyone who needs a strong defense to fight criminal charges. We believe strongly that every person charged with a criminal offense has the right to a competent and aggressive legal defense. We also work with companies, non-profit organizations, community groups, and individuals who need representation for a civil matter. We are a full-service law firm that has a high degree of understanding of Missouri laws, St. Louis, St. Charles, and other metropolitan municipality laws.